There are lots of books and movies that center on a charming heroic character. These stories, however, almost always have powerful unappealing villains against whom the hero battles. Although villains are evil and remembered as the “bad guys” in the stories, sometimes their charm catches the attention of readers and audiences. They become the villain you cannot hate. I’m the queen a’ the world! On Valentine’s Day, a charity auction is held to raise money for an animal shelter. Gotham’s millionaire Bruce Wayne announces that he will auction himself off at the event. He will go on a dinner date with the lucky winner. The infamous Harley Quinn hears the news. She learns about the purpose of the auction and the possibility of a date with the handsome Bruce Wayne, so she becomes determined to attend and win. However, there is huge competition for the dinner date with Gotham City’s most eligible bachelor. Harley needs to raise a million dollar. How can she get that much money? Besides, money is not the only problem that she must deal with. Another villain called The Crap and his sidekick The Sea Robin plan to interrupt the event. Would Harley win the auction and get a date with Bruce Wayne? Will Bruce Wayne, who secretly fights crime as Batman, even agree to the date? Harley doesn’t know the truth that her dream date is also her enemy. Harley’s sweet dream of being with the billionaire and Batman’s nightmare about battling the notorious villain causes reality to become confusion as the story proceeds. How will Valentine’s Day end? 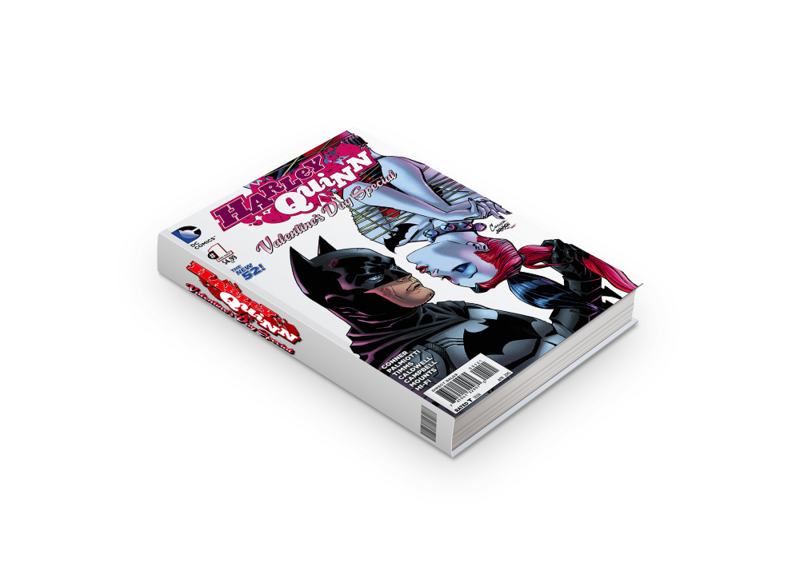 ‘Harley Quinn Valentine’s Day Special 1’ is a special short edition issued for Valentine’s Day. Harley Quinn is villain created in 1992 by Paul Dini and Bruce Tim. After making her debut in animation as Joker’s mad follower and girlfriend, she was soon well incorporated into the comics. Talented actor Margot Robbie plays Harley Quinn in the movie ‘Suicide Squad’, which helped the character soar to even more popularity. The character now has its own comic book, and a movie based on the character is expected to be released soon. The Valentine’s Day issue details Quinn’s character and allows readers to understand her straightforwardness and lack of regard for others. She is wild and takes what she wants by any means. She is both adorable and brutal. Harley Quinn is not a mere Joker fan. She is much more. She is independent and devoted to her friends. This edition is small, so it makes for great fun reading. This reporter also recommends ‘The New 52! Harley Quinn’ and the graphic novel ‘Suicide Squad’, which have both been translated and published in Korean, if, after reading it, you enjoyed Harley Quinn Valentine’s Day Special 1. In 2004, a gang from Harbin relocates to Seoul and conquers all preexisting gangs. The ganglord, Zhang Chen, and his sidekicks Yu Sungrak and Yang Tae use violence and deadly weapons like knifes and axes to take control of small shops as well as big organizations to make big money. Hearing the news, the city’s strongest police detective, Ma Seokdo ,rushes into action. Ma Seokdo and this team devise a plan that they believe will result in the arrest of the gang leader and his trusted followers. The gang terrorizes the whole city of Seoul and sets the nation ablaze. Will Ma Seokdo and his team be able to arrest the three brutal villains? If you like criminal action movies, “The Outlaws” is a great popcorn thriller that can be watched with friends or family. Even though the movie is based on an actual story that is tragic and something that should not be laughed at, there were many comic reliefs added to the movie in the process of filmmaking to make it more entertaining. This is where the three gangsters contributed the most and received spotlighted. In most ‘good guy – bad guy’ movies, audiences always root for the good guy and in the end, the hero is the only character audiences remember. However, “The Outlaws” is different. The villains have such a huge role in the film and the actors are so powerful in their portrayal of the gangsters that the villains cannot be forgotten. 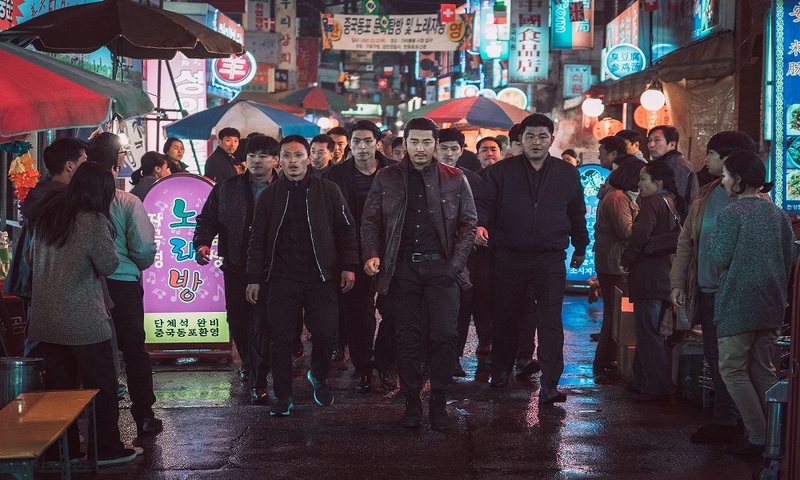 Also, each of the three gangsters, namely, Zhang Chen, Yu Sungrak, and Yang Tae, have such unique characters and individualities that people will fall into a love-hate relationship with them. 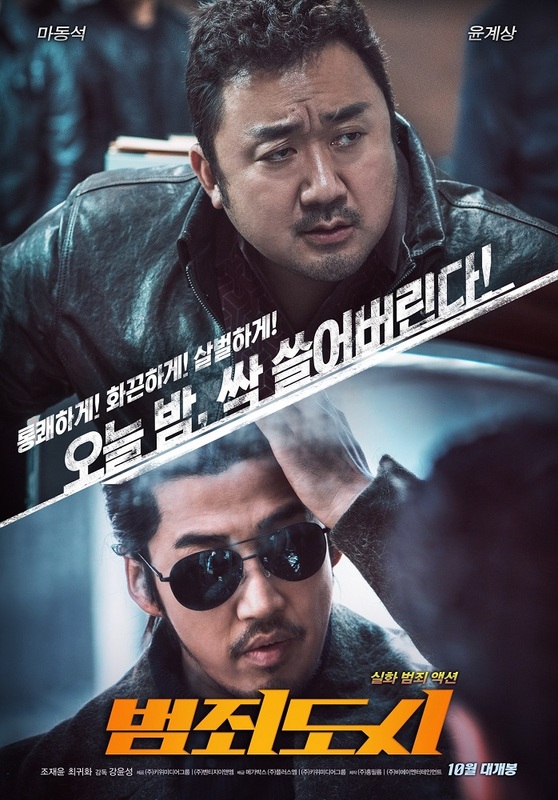 Another charm of this movie is the fact that actor Ma Dongseok (Don Lee) is excellent in his first acting role as a police detective. Prior to the movie’s release, many people were certain he would be playing the role of a gangster or the ‘bad guy’, but they were surprised at the fact that he was a police detective. Don Lee’s powerful and charismatic performance in addition to the three gangsters’ charm are sure to make you fall in love with the movie.